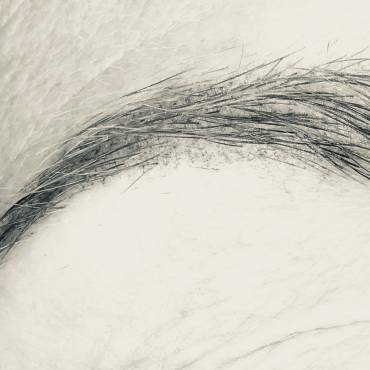 Permanent Eyeliner; Should I Do My Lower Eyes Too? Should I do my upper and lower eyes? Will it make my eyes look smaller? I get asked this question quite often. I would say about 95% of my clients end up doing both upper and lower eyes. However, if you choose only one, just do the uppers. Otherwise, the eye is drawn downward and none of us want that aging effect. 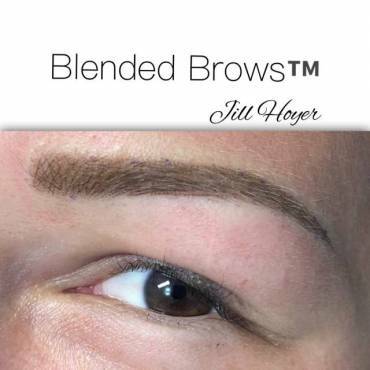 I personally prefer a less “intense” lower for permanent makeup otherwise the eye can get closed in. One way to achieve a less intense look is to use a lighter color. Photo A: Upper and Lower eyes: I custom mixed Cafe Noir and Toasted Almond by one of my favorite pigment lines; True Colors. The lash line is slightly defined yet light in color. 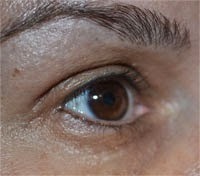 Photo B:Upper and Lower eyes: I recommended a light mossy green for this clients lowers. Green is a fun color to work with and is easy to add a dash of brown or black if you change your mind. Green also cancels red, so it can create perfect harmony in someone who has a lot of pink around the eye. Photo C: Upper and Lower eyes: Both blue and green eyes can do colors in grey. This upper is a darker charcoal and the lower is a light grey smudge effect. 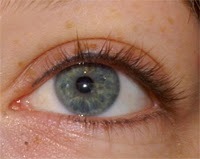 All of these eyes display just how subtle and natural permanent makeup can look. 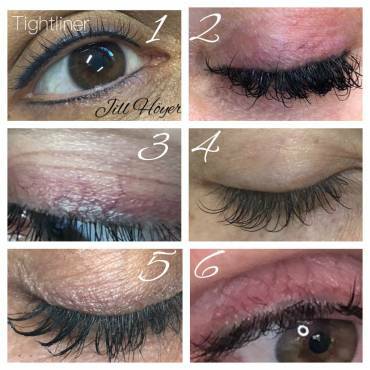 Think about how you want to look when you wake up every day… If you want natural, then consider a finer line through your lashes that’s lighter in color for your lower eyes. Uppers can go darker because your lashes buffer the line, and if you go too light on the uppers you just don’t see it. If you or someone you know is interested in Permanent Makeup, please feel free to contact us for a consultation, or stop by anytime.